Any motorcycle rider can attest to the advantages of getting around on a motorcycle compared to driving a car, such as easier navigation during rush hour or finding a parking space with relative ease. The latter has become easier since the City of Vancouver designated more than 200 parking spots for motorcycles and scooters as part of the municipal government’s efforts to ‘Go Green’. 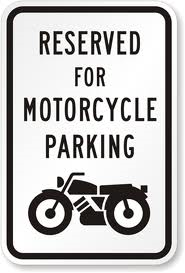 While you will be pleased to find several parking spaces for your motorcycle, keep in mind that some spots are pay parking and others are free. Two-wheel only parking spots are marked with a green top on the pay meter, white painted zones and motorcycle parking signs. Motorcycle and scooters can park in any regular space and receive a 50-75% discount if using the PayByPhone App on your smart phone. You must have a licence plate on your bike so unregistered electric scooters are not eligible. Licensed motorcycles or scooters can share the spot if there is room and they fit within the painted lines. The single meter will pay for all the bikes in that spot if coins are deposited. If the PayByPhone option is used, then only the bike registered under the App is considered paid for and others can receive a ticket. In other words, you need to use coins to legally pay for more than one bike in a single spot.